Grey's Anatomy Season 1 Episode: 9 - Who's Zoomin' Who? Grey's Anatomy Season 2 Episode: 19 - What Have I Done To Deserve This? 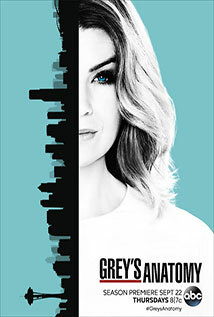 Grey's Anatomy Season 7 Episode: 14 - P.y.t. Grey's Anatomy Season 8 Episode: 14 - Have You Seen Me Lately? Grey's Anatomy Season 10 Episode: 17 - Do You Know? Grey's Anatomy Season 11 Episode: 7 - Could We Start Again, Please? Grey's Anatomy Season 13 Episode: 16 - Who Is He (And What Is He To You)?